Spain may have hoped warning Catalonia against declaring independence would be enough. Now they have followed through to impose direct rule, knowing this is highly risky. 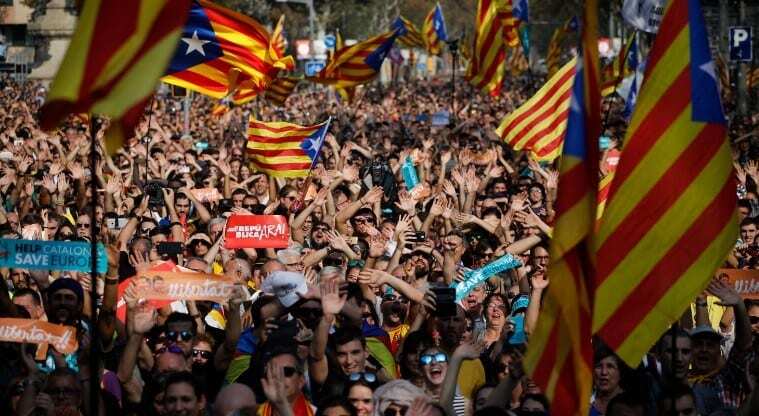 The tale of Catalonian independence has taken another turn as the Spanish government has invoked a clause in the constitution and taken charge of Catalonia. Stripping Catalonia of its autonomy and dismissing the Catalan leaders early on Saturday morning. These measures follow yesterdays announcement by the Catalan parliament who voted to declare independence on Friday. An official state bulletin dismissed Catalan leaders and handed control of Catalonia to Spain’s Deputy Prime Minister, Soraya Saenz de Santamaria. Earlier, Catalonia’s most senior police officials were dismissed by the Spanish government. PM Mariano Rajoy announced the dissolution of the regional parliament and the removal of the Catalan leader, and called snap local elections. The Spanish authorities said the moves were needed to restore legality, after a political and constitutional crisis that has gripped the country for months. Over the months Catalonians have experienced a variety of emotions and expressed there desire for independence in a democratic way. Yet have seen the officials in Madrid dismiss their claims as invalid. It has caused civil unrest, with violent clashes with police as Madrid used overwhelming force and wanted to assert its authority on Catalonia. Worldwide condemnation followed as shocking images of police clashing violently with civilians hot the front pages of worldwide newspapers. Despite this EU leaders including France, UK and Germany have all expressed their support for the Spanish unity and only recognizing one governmental authority in Spain. Donald Tusk, The President of the European Union tweeting to outline the EU’s response to the conflict. In 2006, Madrid backed Catalonia’s calls for even greater powers, granting it “nation” status and installing financial control. But four years later, the Constitutional Court rescinded that status, ruling that while Catalan is a “nationality,” Catalonia itself is not a nation. Catalonia is one of Spain’s richest, most distinctive regions, with a high degree of autonomy. Catalonia has had its own regional government with local powers over health care, education and tax collection. But it pays taxes to Madrid, and pro-independence politicians argue that complex mechanisms for redistributing tax revenue are unfair to wealthier areas, something that has helped stoke resentment. Regional elections are scheduled for 21 December. Mr Puigdemont urged supporters to “maintain the momentum” in a peaceful manner. Spanish prosecutors say they will file charges of “rebellion” against him next week. Many countries are monitoring this situation closely. Some of which are concerned they may face similar sentiments of independence within their borders. How Spain handles this issue is intriguing. Violent clashes with police forces is something that European countries are not used to seeing on their streets. It is now moving onto more of a PR war, as Madrid has realised it can’t rule with brutal force anymore.